This marine barometer was made by R Fuess of Germany. I don't know it's age, I'd guess the 1960s or early 1970s since R Fuess went out of business in 1976. 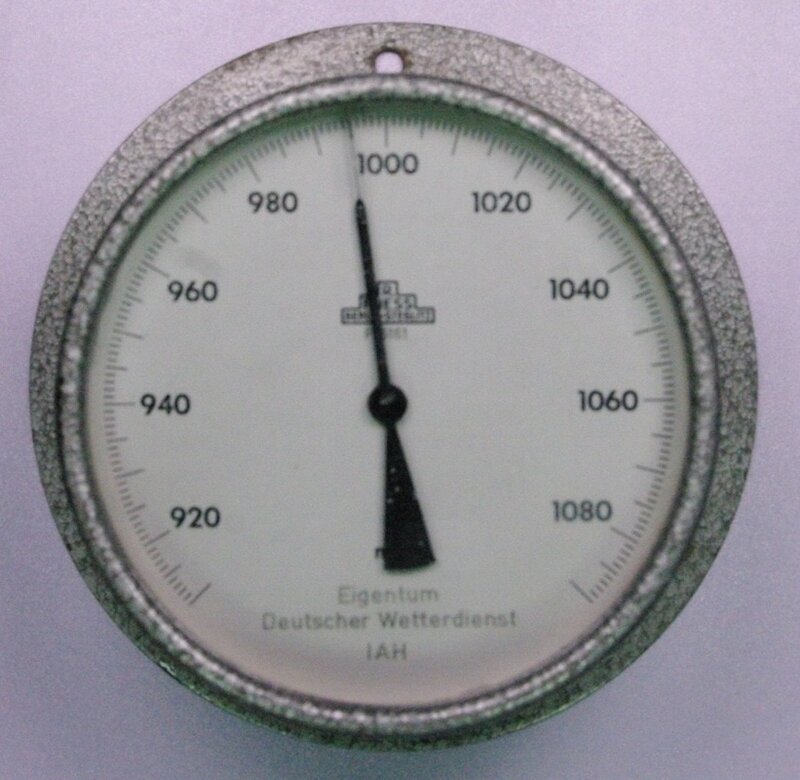 The text at the bottom of the dial says 'Property German Weather Service', but I don't know what the IAH stands for. The dial face is about 4.5 inches in diameter. It was obtained from the ship breakers in India. It works well. Go to R Fuess catalog page.